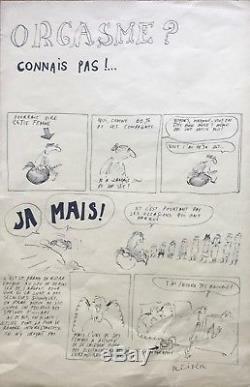 Jean-Marc Reiser (1941 - 1983), author of French comics. Original page ink on paper, 50 x 32.5 cm, signed. The item "jean-marc reiser original signed drawing plate" is on sale since Thursday, December 13, 2018. It is in the category "books, comics, magazines \ bd \ boards, original drawings".